OSU is well suited to harness education and empower students to participate in solving global development problems because of our tradition of interdisciplinary research and education, a campus ethos of engaged service, and student interest. 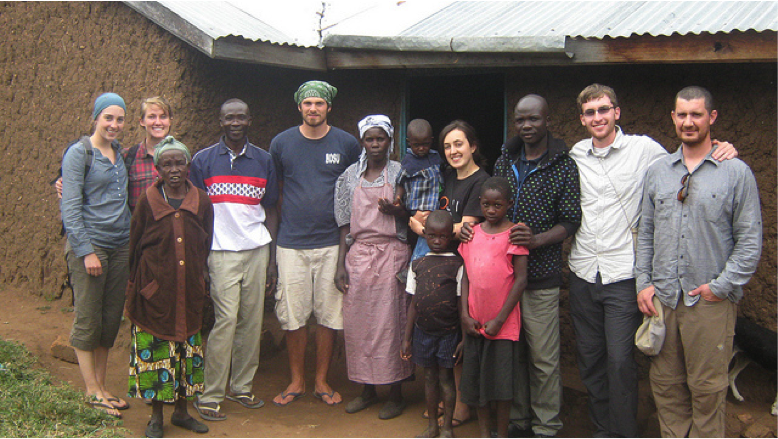 Multiple student organizations, including OSU’s award-winning Engineers without Borders chapter and the American Society of Civil Engineering student chapter are already working on water, energy, and other projects in the developing world. A core group of more than 15 HE-affiliated faculty have developed an HE curriculum to prepare students who want to apply engineering skills to global development challenges. This curriculum includes the importance of context (socio-cultural, economic, environmental, resource); ethics and social justice implications; cross-cultural communication; case studies of development projects (including learning from project failures as well as project successes! ); and even a historical perspective on humanitarian interventions. We are currently launching a minor for engineering students that includes four core courses plus a technical elective. Students choose from a broad selection of relevant technical electives, including courses in renewable energy, systems analysis, and multi-hazards in civil engineering, groundwater, or water and wastewater treatment. Or they may choose an approved elective from another program including courses in gender issues in international development, approaches to social justice, or global health. It has become clear that the HE curriculum and the skills it imparts can be of use to an audience far broader than engineering students alone. With this in mind, we are also considering establishing a formal minor in humanitarian studies or development practice that is accessible to all students regardless of major, with a core curriculum and the completion of appropriate electives. We’re thrilled with the progress we’ve made establishing such a path-breaking climate for HE at OSU through engaged research and interdisciplinary curriculum development. With just one year under our belts, we’ve come a long way — and have much left to do. So keep an eye on us, and please feel free to contact me, Kendra Sharp, with any questions about either our HE initiative or OSU’s master’s International programs.